The Titleist Custom PackEdge 3-Ball Sleeve allows you to utilize any of the PackEdge dozen templates and color options to meet your club or company brand objects. You can customize 5 sides of the sleeve and also have your custom golf balls inside. 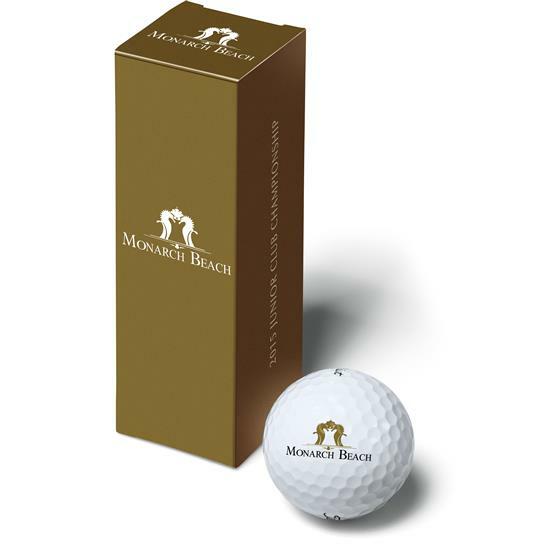 Both the golf balls and 3-ball sleeve are custom. The total production time takes 4-6 weeks from artwork approval and the logo turnaround time takes 24-48 hours. A minimum purchase order of 96 sleeves or 24 dozen must be ordered. The box comes in many different color and template options. Available in all dozen templates and colors. You are about to post a review for Titleist PackEdge Custom 3-Ball Sleeve based on your knowledge of its playability. This review will show up under all variations of Titleist PackEdge Custom 3-Ball Sleeve, including new, personalized, and custom logo.